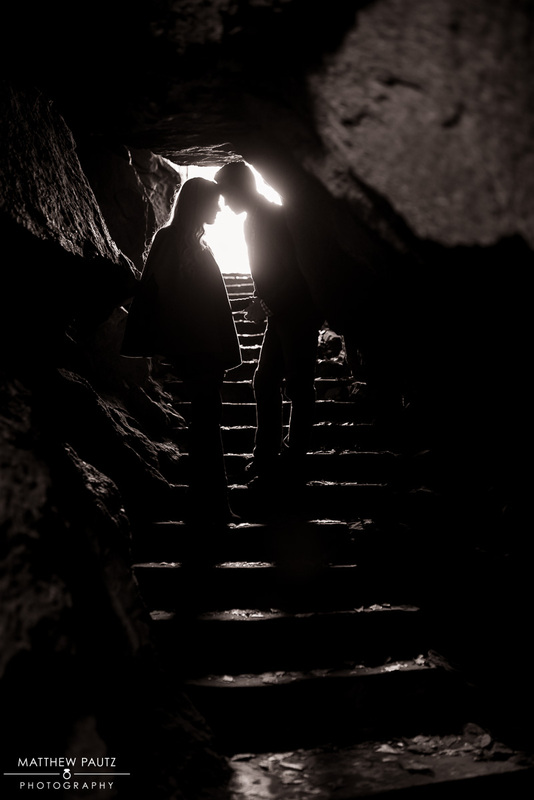 Engagement and Wedding photography is such a unique specialty. It is extremely challenging, can be very physically demanding, and can take a lifetime of practice to master. But it can also take you to some truly remarkable places, and to some equally remarkable people. 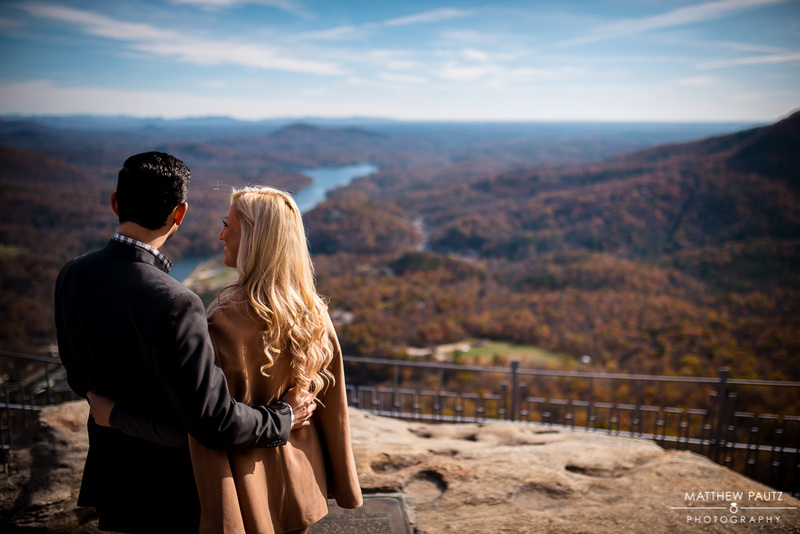 Places like Chimney Rock State Park, a unique rock outcropping in the mountains of North Carolina that is the perfect location for adventurous mountain engagement photos. 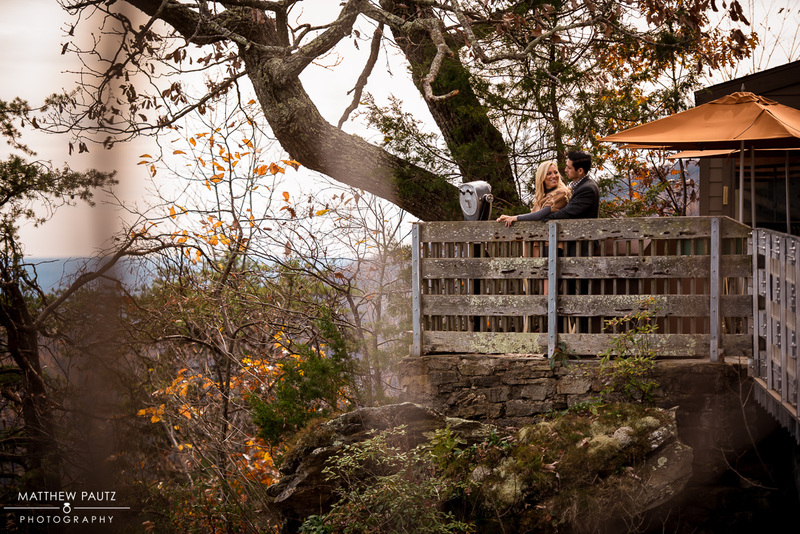 And people like Victoria and Andrew, who embody the very idea of fun and adventure. These two work hard and have very little free time at the moment, but they were still able to take some time out of their busy lives to join me for a quick trek up to some of the most beautiful scenery in the Eastern US. And what a time to shoot engagement photos too! The peak Fall Colors of the season have passed in the upper elevations, but there was still plenty of color left in the valley. Combined with the unique and beautiful mottled early morning sunlight, and you have the opportunity for some amazing and memorable engagement photos. Please take some time to browse through some of my favorites from their session below. 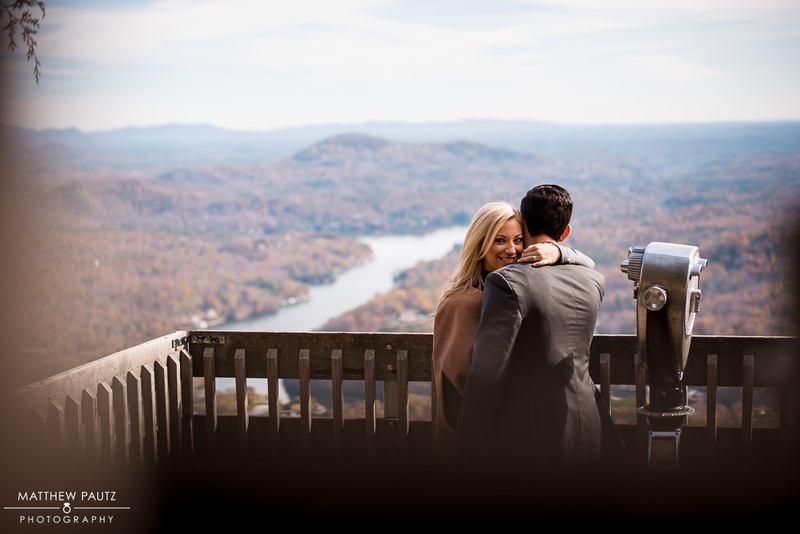 Want your own mountain engagement photos? Contact me soon!